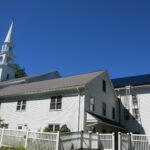 We believe that God calls us to care for creation – to make choices as individuals and as institutions that advance the welfare of our planet and all its present and future inhabitants. 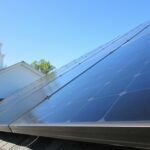 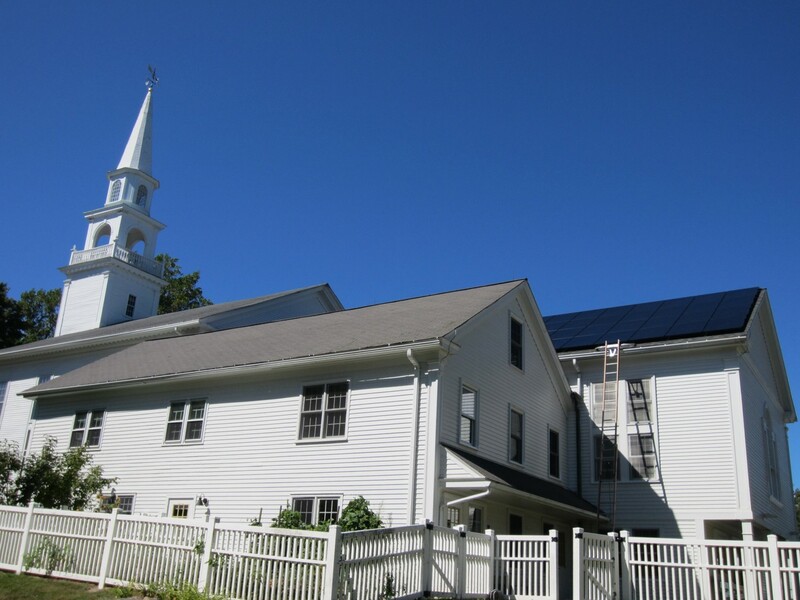 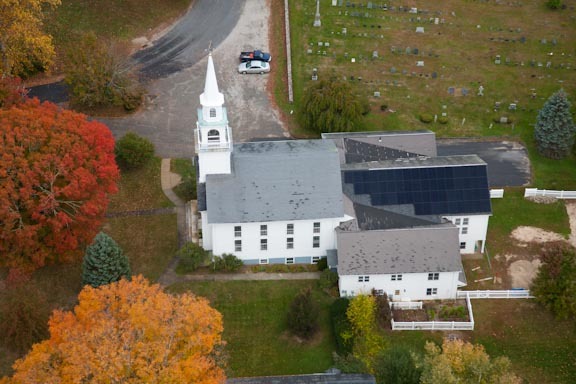 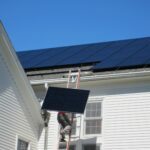 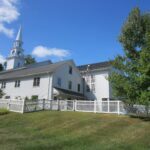 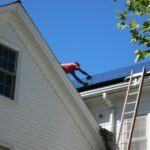 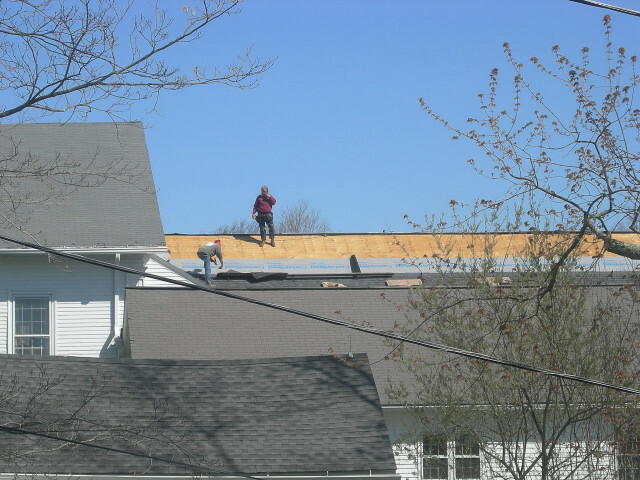 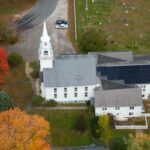 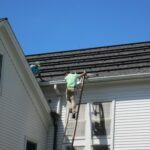 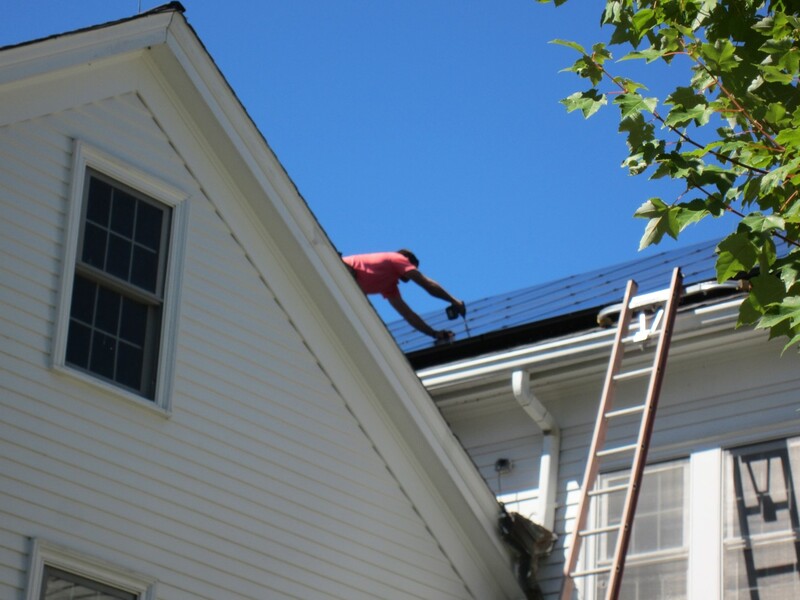 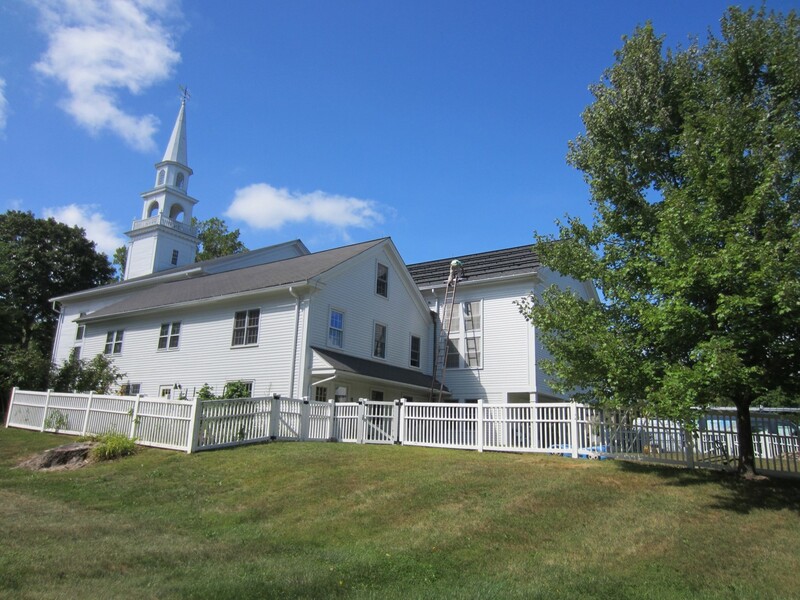 Because of our commitment to environmental stewardship, in January 2014, the congregation of First Congregational Church voted to move forward with installing solar panels on a portion of our church roof. 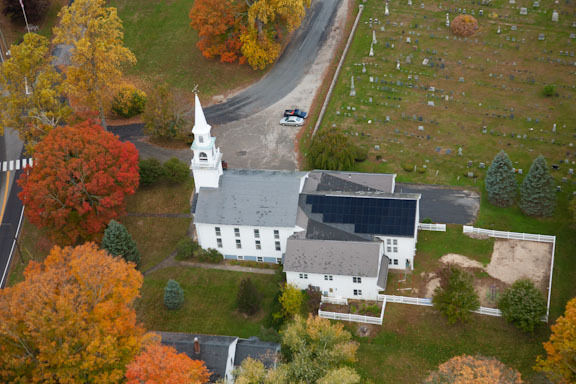 Our photovoltaic installation is projected to produce more electricity than the church uses, adding to the overall supply of renewable energy in the grid and reducing our electric bills, too. 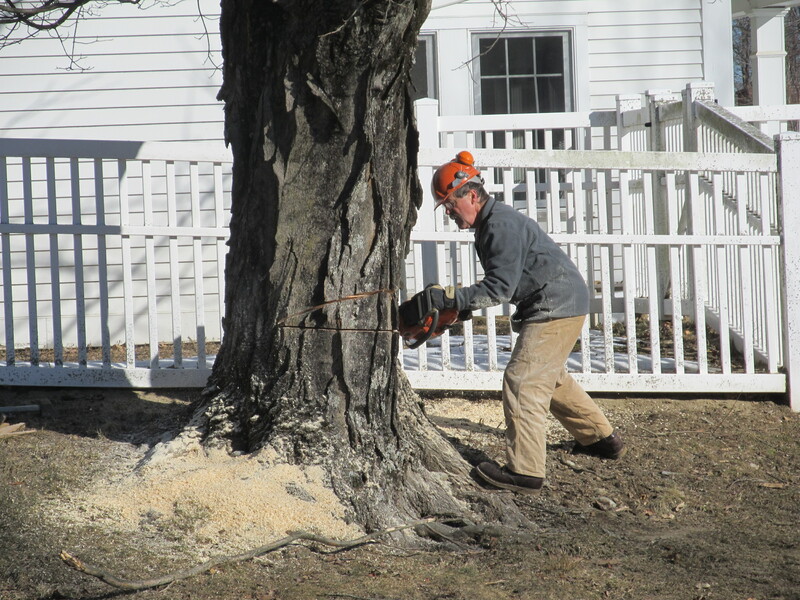 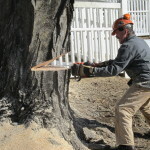 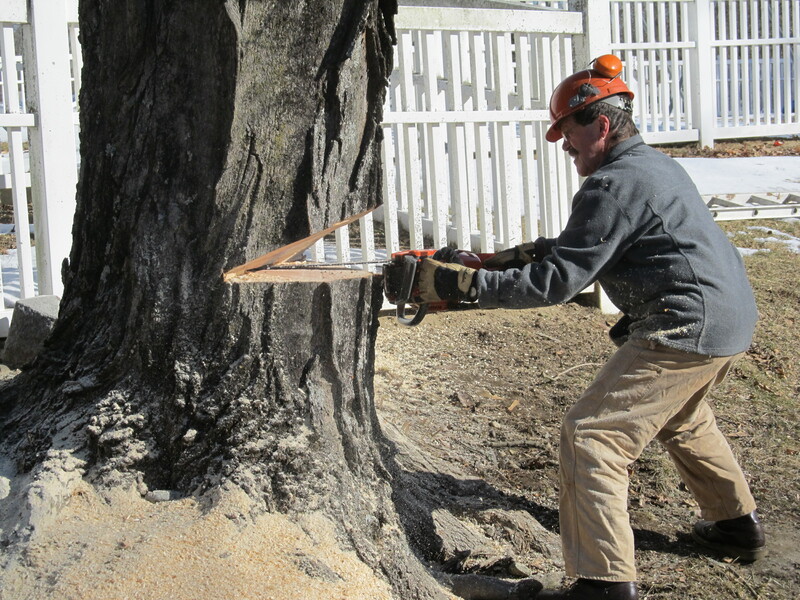 The first step, completed in March 2014, was to remove a tree that shaded an area of the roof. 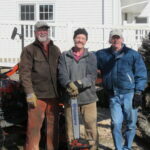 We are investigating the planting of new trees or shrubs to compensate for the one we’ve removed. 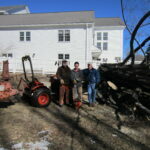 The wood from the tree will be used for heat in the winter by members of the congregation and wider community. 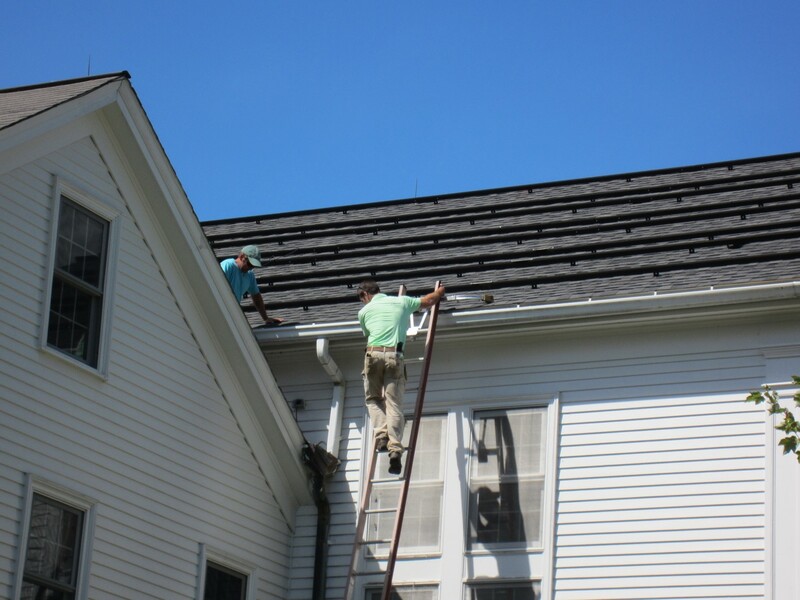 Though we were sad to see the tree go, we look forward to the many environmental benefits of the solar installation. 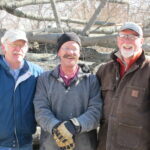 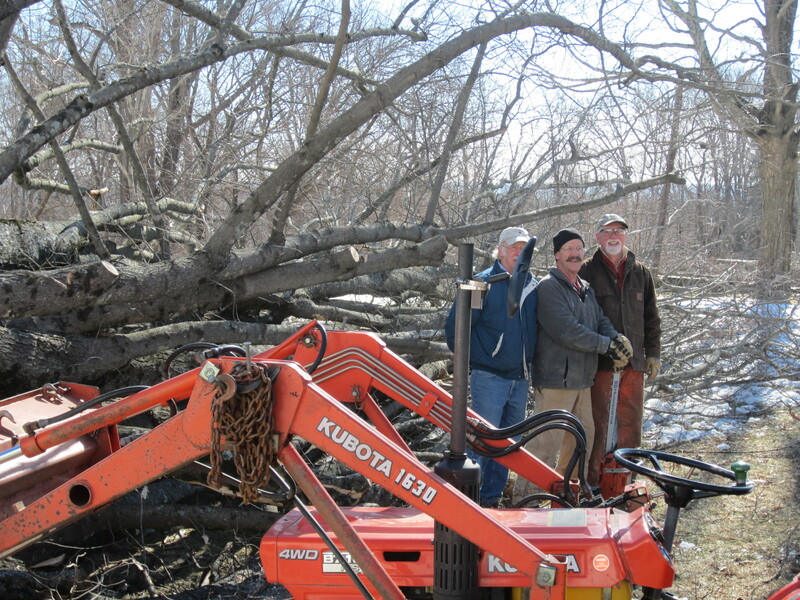 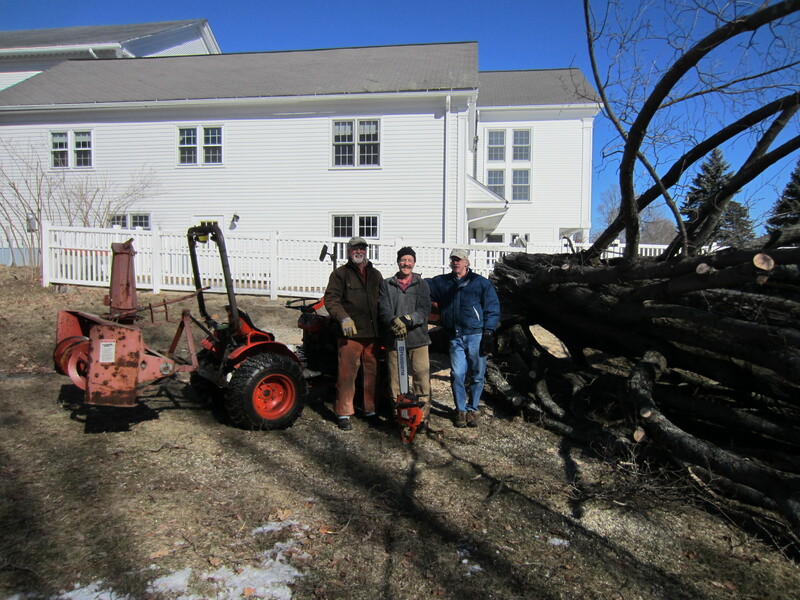 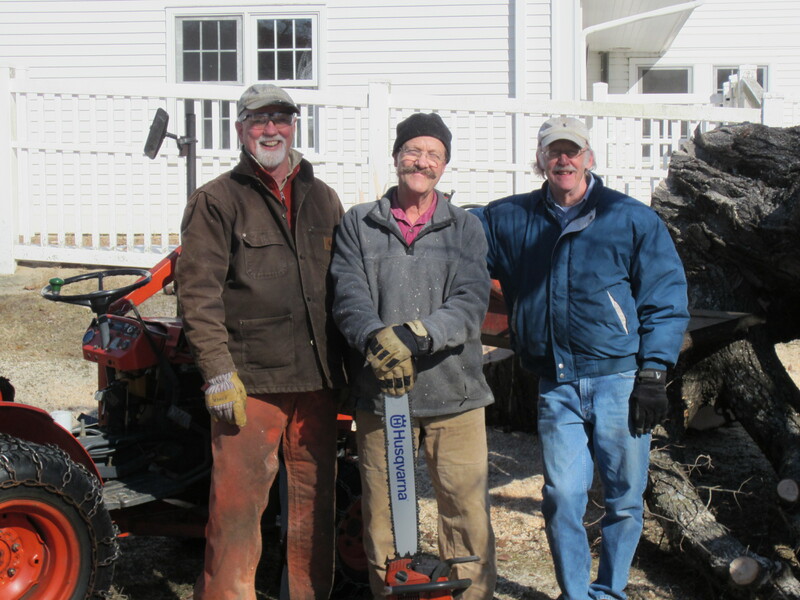 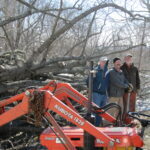 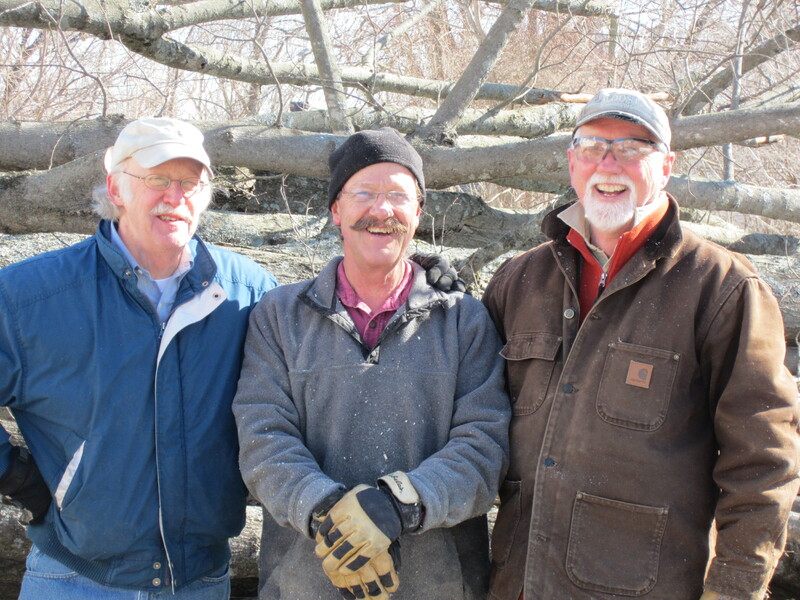 Bob, Bruce, and Leslie worked hard and carefully to bring the tree down safely. 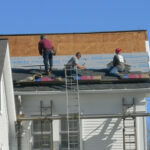 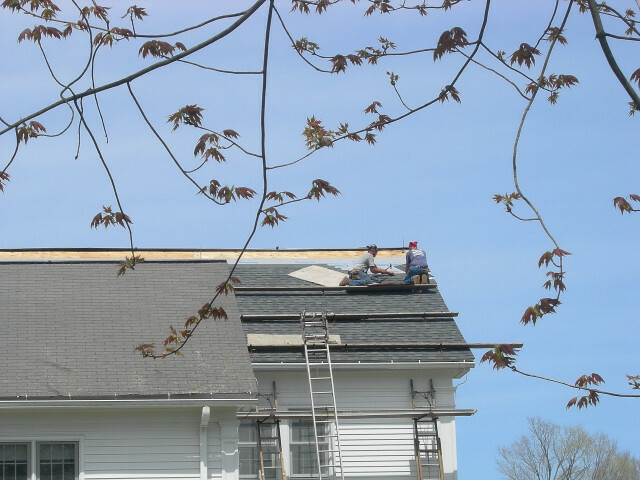 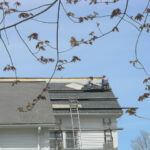 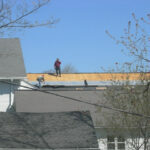 Next, we re-shingled the portion of the roof where the panels will be installed. 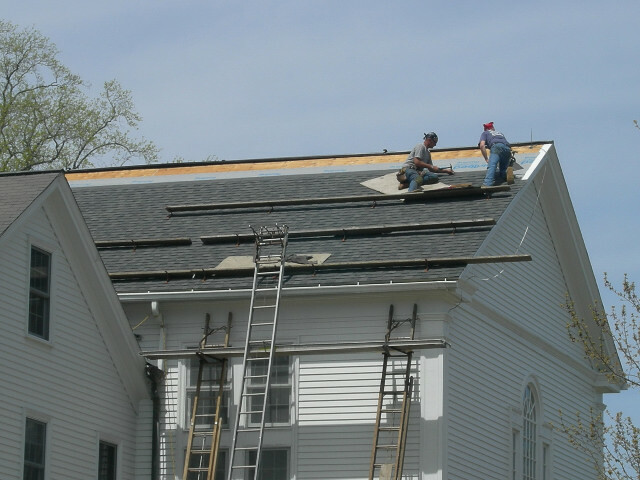 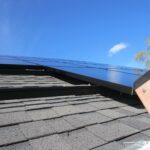 This would have needed to be done in the near future regardless of the solar project, as the shingles were nearing the end of their lifespan. 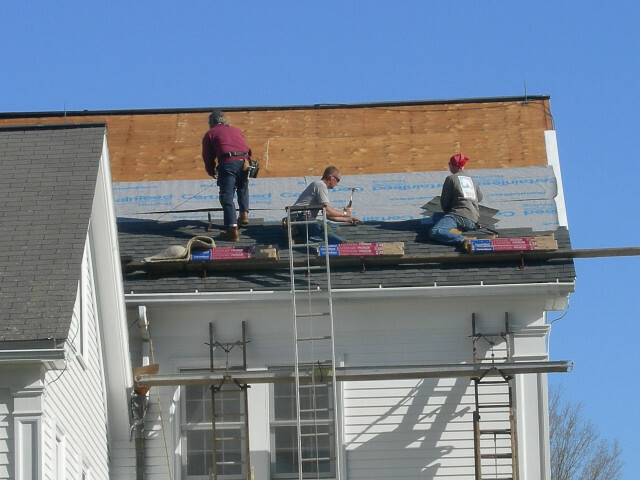 This work was completed in May 2014. 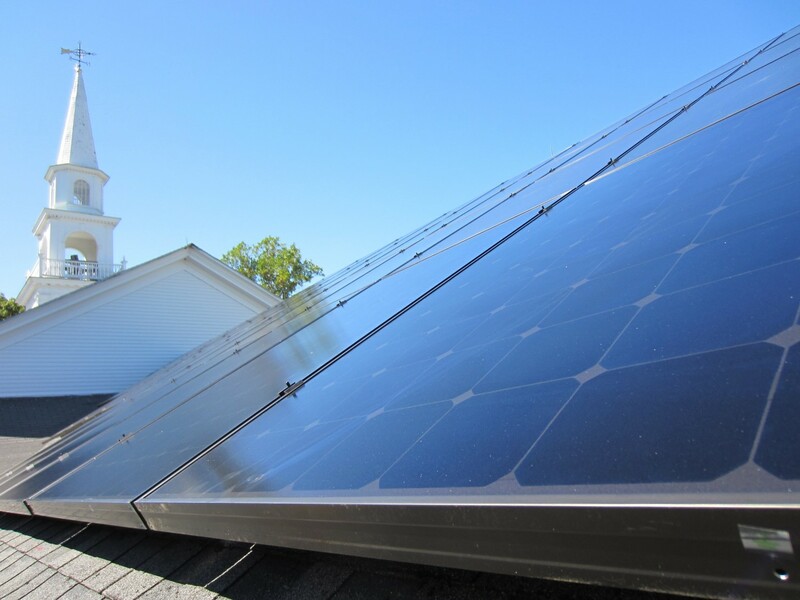 In June 2014, we received the good news that our project has been awarded a Zero Emission Renewable Energy Credit (ZREC), which will result in significant savings on the cost of our electricity throughout our 15-year contract with Star Power LLC. 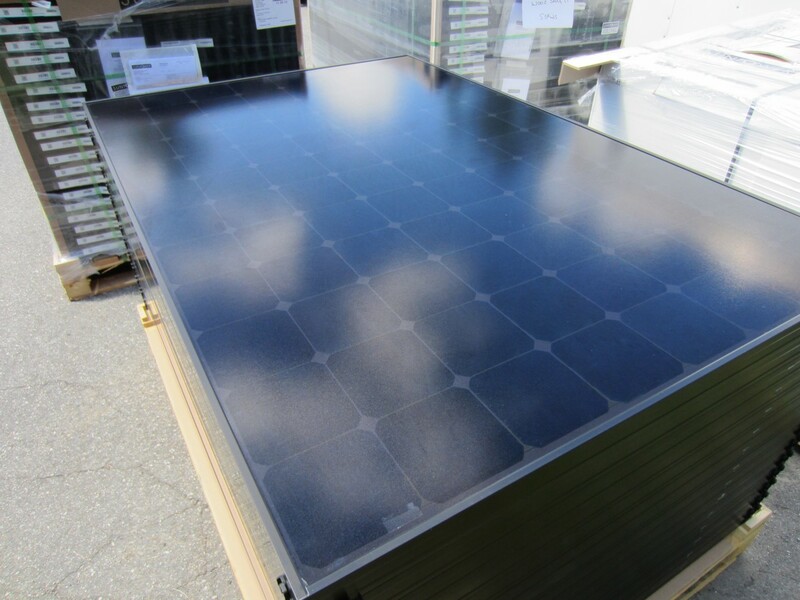 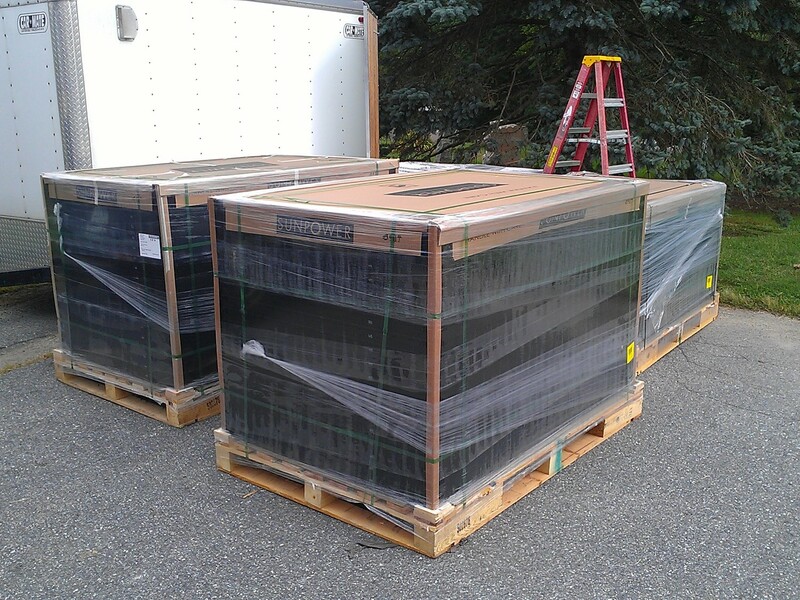 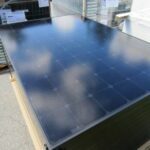 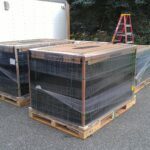 In September 2014, the panels were delivered by the manufacturer and installed by Mark and Tyler from Waldo Renewable. 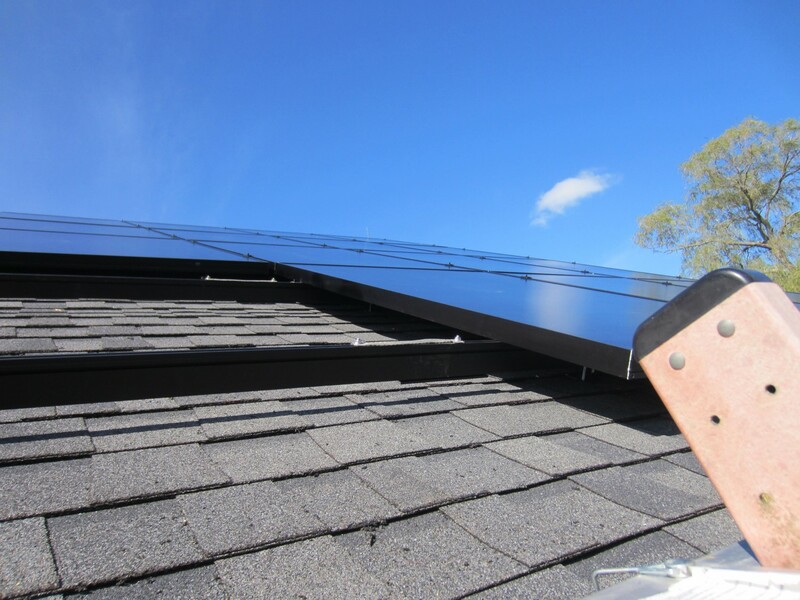 The installation and wiring were completed in about a week and a half. 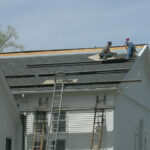 The final step was the completion of some paperwork and an inspection by the state. 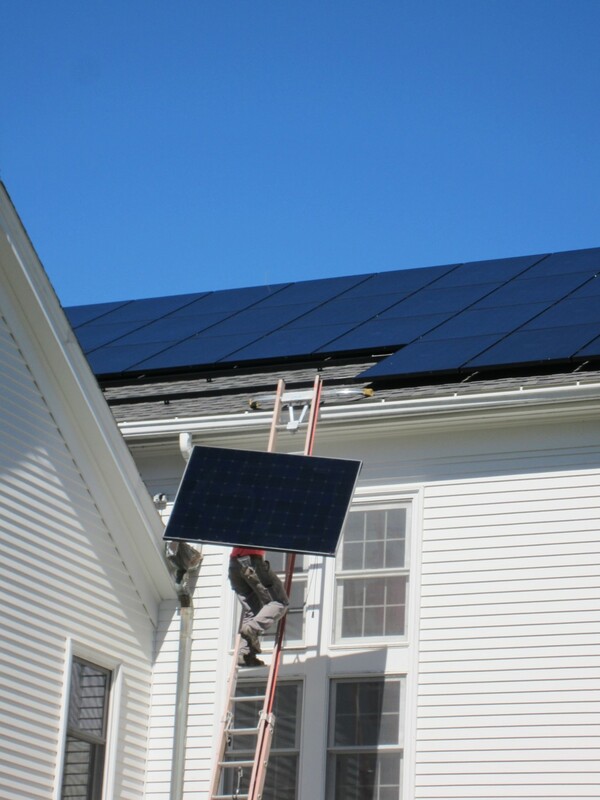 On November 30, 2014, we officially flipped the switch that connected our system to the grid, and we’ve been generating ever since!